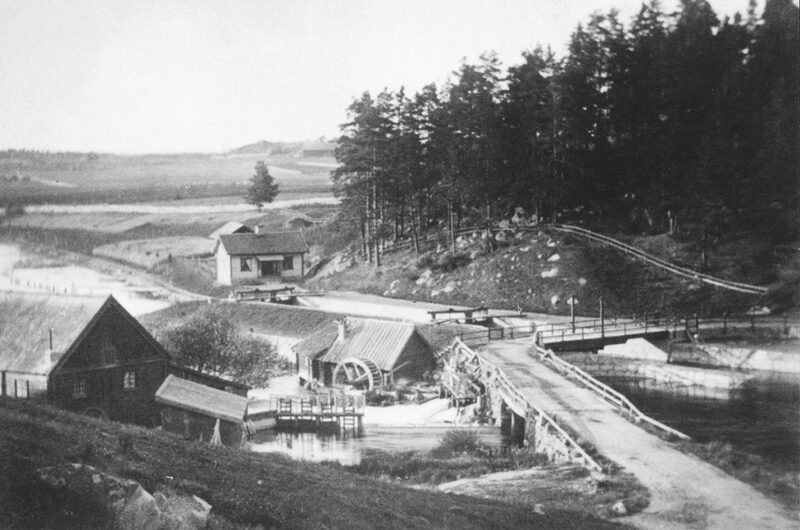 More than 110 years ago Hjulsbro’s history began with a waterfall in River Stångån, some kilometres south of Linköping. Since then the company has developed into a leading manufacturer of PC strands used in many of the world’s architectural masterpieces. More than 110 years is a quite an age for a company. The development of the Hjulsbro works over a century has not always been plain sailing. Over the years the company has been declared bankrupt, burned down twice and changed owner a number of times. Its product range has also changed with the passage of time; we began with various kinds of nail products and we currently focus on prestressing steel. And today we are stronger and have higher production capacity than ever before. 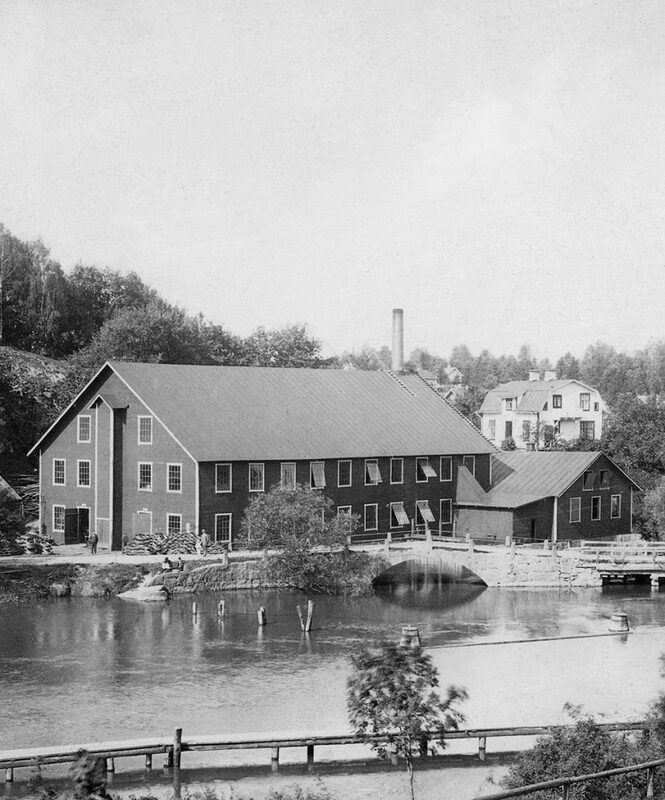 Our history starts in 1906 when some wholesalers bought a mill along with its waterfall on the River Stångån just south of Linköping. In 1907 the wholesalers had completed their project and their company, Hjulsbro Tråddrageri & Spikfabriks AB, was registered on 25 July 1907. At the water wheel [hjul] of the mill there was a small bridge [bro] across the stream. 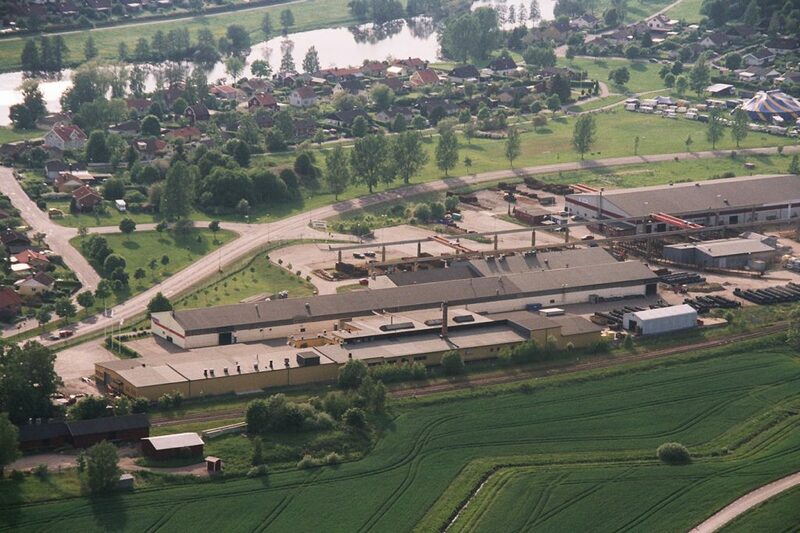 This is the origin of the name of ”HJULSBRO” and the community of ”HJULSBRO” grew up around the factory. 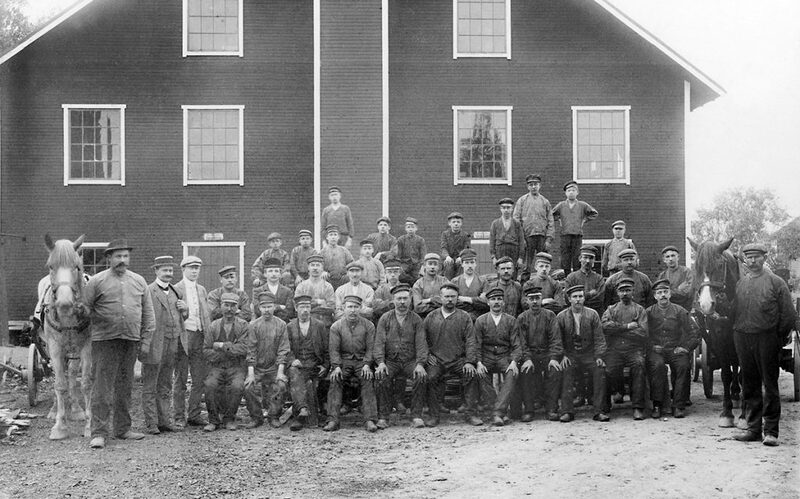 Local people called the factory the ”Hjulsbro Works”. 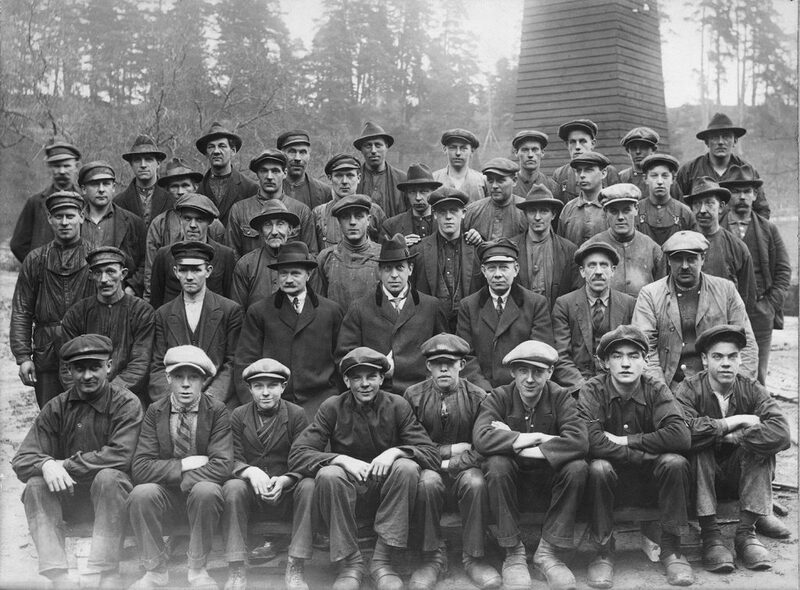 Up until the world war production was even, but after the war there was a deep economic downturn that resulted in the company going bankrupt in 1921. 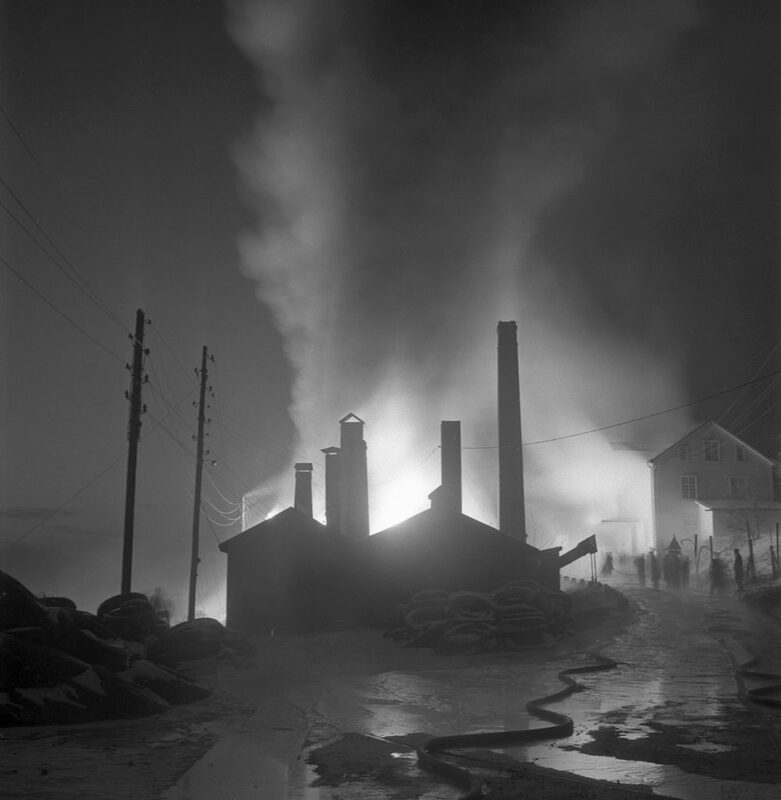 On two occasions, in 1930 and 1947, the company was hit by devastating fires that totally destroyed the factory buildings. The factory was reconstructed and modernised and the company was strengthened by these events. The net factory burned down to the ground. 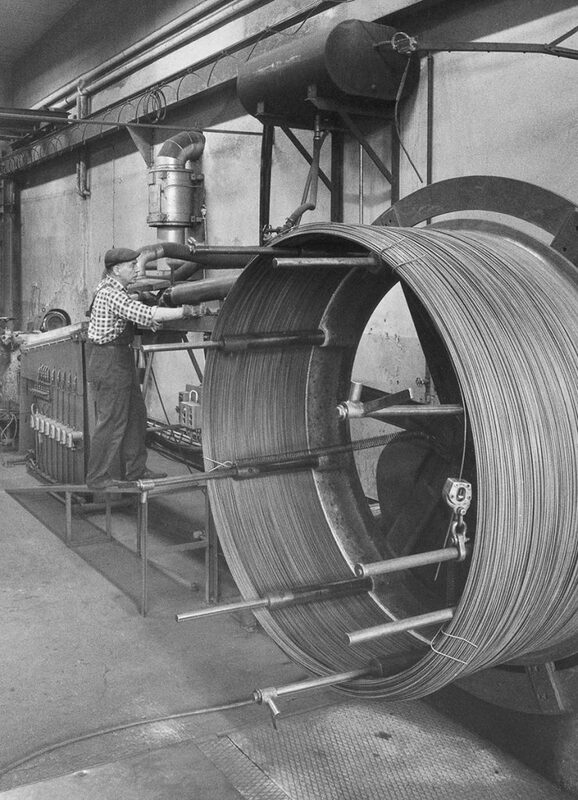 In 1957 the first manufacture of prestressing wire began. The company was privately held until 1964, when Halmstastål bought the company to have a spearhead in its manufacture of reinforcing materials. In 1985 Ovako, a Finnish company, bought the factory. That was when Hjulsbro Spännarmering AB was born, and in 1987 its ownership was transferred to DALSBRUK Oy AB, a Finnish steelmaker. 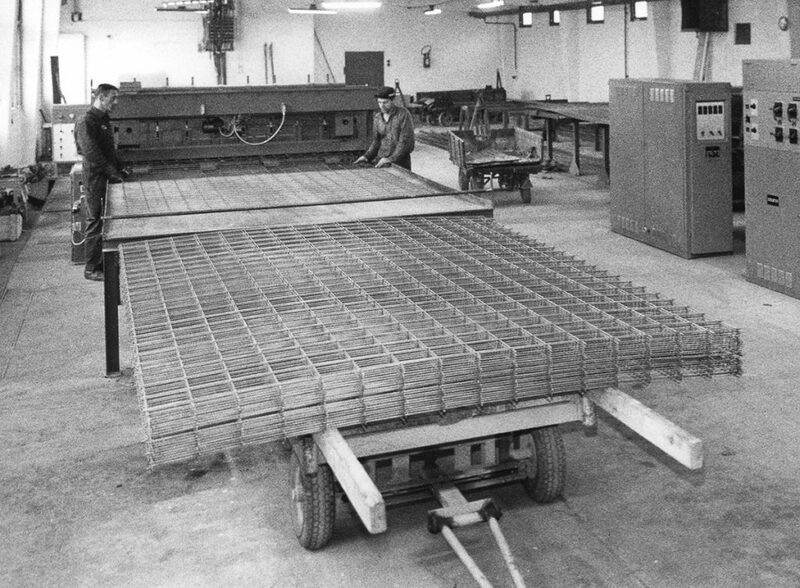 In 1989 the board of the company decided to invest on a three-wire strand machine. The machine was taken into operation in 1990. The next major investment was a drawing machine with nine 900 mm block. It was taken into operation in 1992. The next major investment was a drawing machine with nine 900 mm blocks. It was taken into operation in 1992. 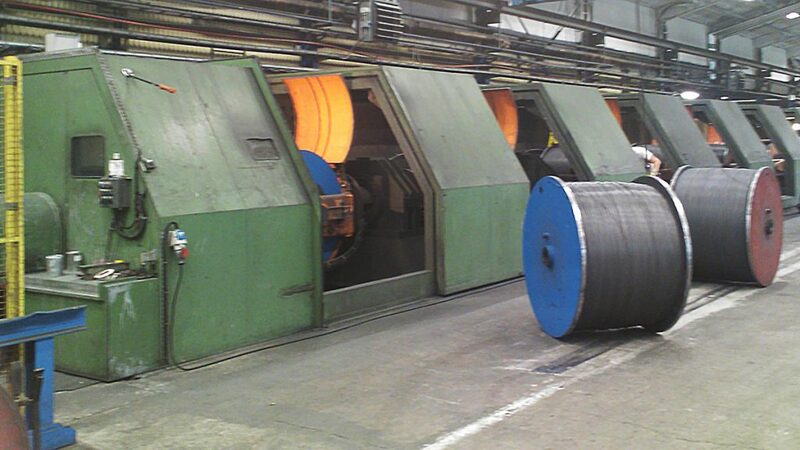 In the early 1990s all production of prestressing wire was closed down in order to concentrate solely on strand. The Dalsbruk Group merged with Fundia, a Swedish company, and Jern Holding, a Norwegian company, to form a new group called FUNDIA. In 1993 Hjulsbro Spännarmering changed its name to Fundia Hjulsbro AB. In 1996 the board of the company decided to invest in a modern seven-wire strand machine. The machine was taken into operation in 1997. In 2005 Ovako was formed through the merger of Fundia, Ovako Steel and Imatra Steel. At that time the companies were owned by Rautaruuki, SKF and Wärtsilä respectively. 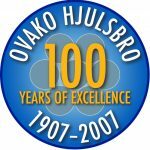 And in the same year its name was change to Ovako Hjulsbro AB. Ovako Hjulsbro, the factory at the river, as it looks today. A new, powerful machine was bought in 2006. In 2006 the next major investment decision was taken. 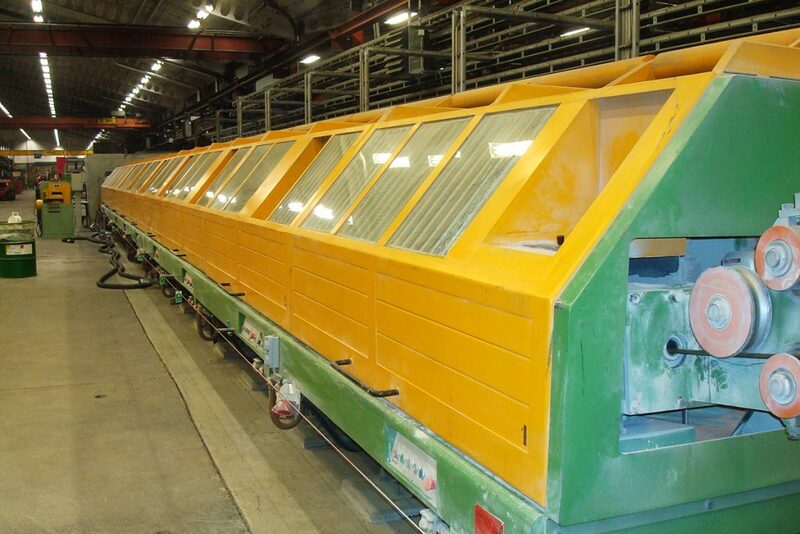 A 1200 mm drawing machine with nine blocks was put into operation in spring 2007. In July 2007 Ovako was sold to Hombergh Holdings. In 2007 the company celebrates its 100th anniversary! In September 2010 the Jersey-based venture capital company TRITON became the owner of Ovako. 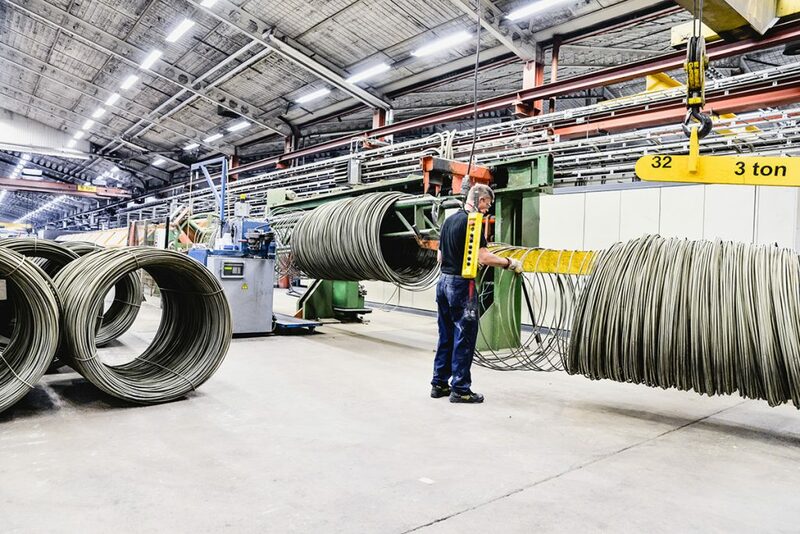 The wire rod division that Ovako Hjulsbro AB belonged to was not included in the sale and its name was changed to FNsteel. The new name was, logically, FNsteel Hjulsbro AB. At that time FNsteel consisted of the steelworks in Koverhar, the rolling mill in Dalsbruk, the rolling mill in Alblasserdam, the drawing mill in Dalwire and Hjulsbro. The owner then was Hombergh Holdings. In 2012 the steelworks in Koverhar and the rolling mill in Dalsbruk went into bankruptcy, as did Homberg Holdings. In 2013 FNsteel was sold to Mahler Investments. In June 2017 Hjulsbro’s biggest ever investment was opened: a new big drawing machine, a big 7-wire strand machine and an extruder line that gave Hjulsbro a new product – HDPE-coated strand. At the same time the company changed its name to HJULSBRO STEEL AB. Prestressing steel and prestressed concrete are increasingly used in modern construction engineering. 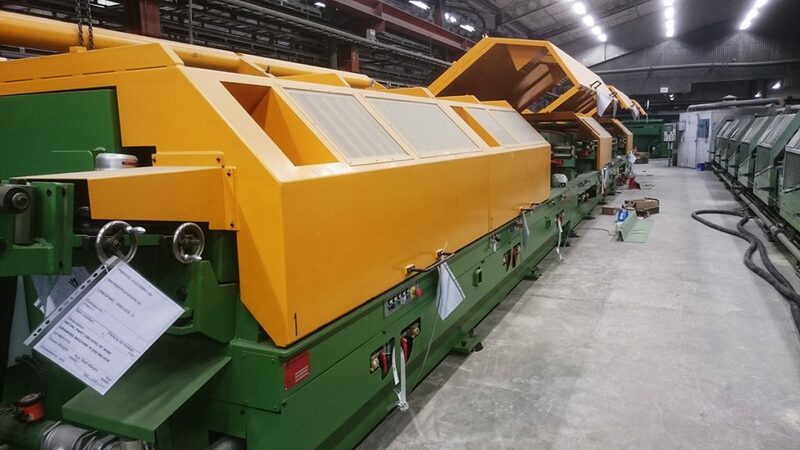 The market is expanding and we are going to see more construction works of different kinds, whose structure is supported by prestressed concrete. The product that has been developed and refined over 50 years in Hjulsbro has a bright future.